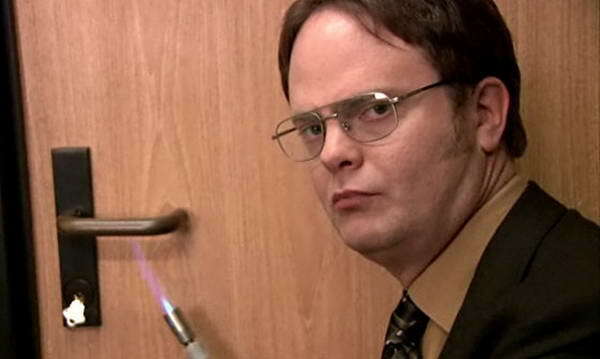 Since I started rewatching The Office this past weekend, I've come to realize how brilliant and groundbreaking the characterization of each character is in this one-of-a-kind TV show. As a curious person, that quickly leads to me examining their personalities. Not only is it a lot of fun, but it also helps me to relate more easily to the characters and to understand their motivation behind their strange and confusing actions. After some thought, I've decided to bring some of these analyses to you today. 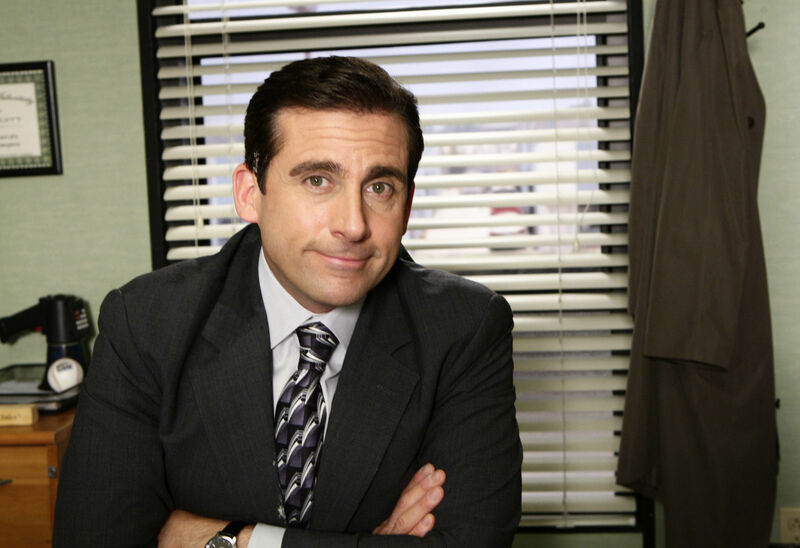 Michael Scott -- ESFP "The Entertainer"
Michael is certainly an "entertainer." He has a natural love for being in the spotlight (which, in his case, may get him into trouble more often than not), but he also has a genuine love for the people around him. He loves excitement and mischief and trying new things. He takes great pleasure in the aesthetic things in life; he loves good food and drinks and clothes. Michael, as a person, may come off strong on a first meeting. But he's an extremely loyal person once you get to know him. He would take a bullet for any of his friends, and he would do anything to try to please them. Dwight Schrute -- ESTJ "The Executive"
Dwight Schrute is a strange man. He also may come off strong on a first meeting, but his reasons for that are fundamentally different than Michael's reasons. He seems authoritative and unwavering in his internal sense of justice, and that can leave an impression of harshness. ESTJs are guided by their stubborn value systems; in some ways, that may make Dwight give an aura of coldness, but this is because this is how he truly sees society to work. There is a definite right and wrong on every issue in his mind. ESTJs are often very good employees, which is a quality that serves Dwight well through his years at Dunder-Mifflin. In 2006, he's the company's top Salesperson. He's more than dedicated to his job; he practically worships it. This is how he strives to keep order in his life and in Scranton. Pam Beesly -- ISFP "The Adventurer"
Pam is a true ISFP. Her gentleness and artistry really shines through in her life, especially in later seasons of the show. 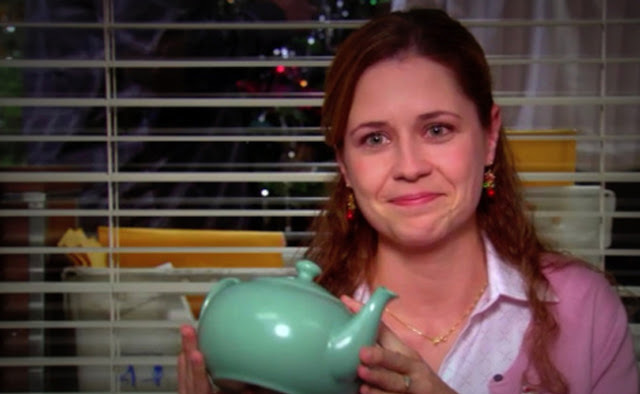 In the beginning, she's not willing to open up to the camera, but we see her joy for life come through, especially when she starts dating Jim later on the show. Pam aspires to find meaning in life. During the first couple of seasons, she's held back by fear instead of following her dreams like she really wants to do. But what she really wants to do, instead of being a receptionist, is to draw and to use her artistic skills to bring joy into the world. 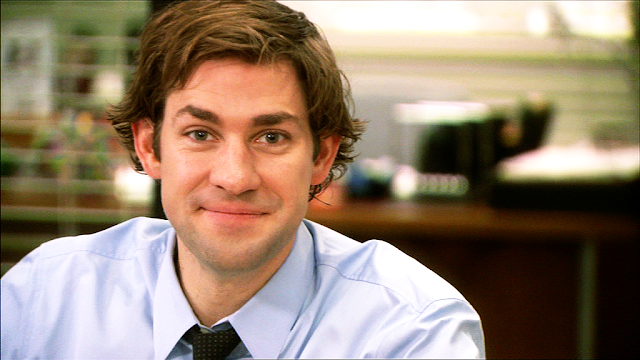 Jim Halpert -- ENTP "The Debater"
Out of all the characters, Jim was the most difficult to figure out. In some ways, he's like a chameleon. He's able to fit in to nearly any social situation with his wit and sharp qualities. That being said, I was only sure of two dimensions of his personality: Intuitive and Perceiving. However, I finally settled on ENTP. First, Jim loves to debate and see what he can learn from a given situation. A devil's advocate, in some sense. His constant pranking is also an indication of the ENTP's constant quest for mental stimulation and knowledge. Work is certainly not fulfilling for him, and thus he uses the energy he has left in making complicated pranks come to fruition around the office. He's certainly an idea-maker, and those ideas are an integral part of The Office. Do you share a type with a character on The Office? Who is your favorite?